Remember the days when people wrote handwritten love letters instead of texting you emoji hearts? Yeah. I don't either. Sigh. 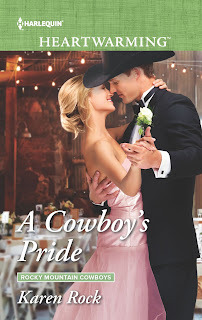 While researching my September release, A COWBOY'S PRIDE, I perused many old time love letters to capture the kind of deep romance Harlequin Heartwarming novels are loved for. The letters were powerful. Emotional. Beautiful and even, at times, poetic. They inspired the secret communications I created between ancestors in the rival Cade and Loveland ranching families, a clandestine love affair at the heart of their one-hundred and twenty year old feud. I thought I'd share some of my favorites. I hope you enjoy them, too! "Since I left you, I have been constantly depressed. My happiness is to be near you. Incessantly I live over in my memory your caresses, your tears, your affectionate solicitude. The charms of the incomparable Josephine kindle continually a burning and a glowing flame in my heart. When, free from all solicitude, all harassing care, shall I be able to pass all my time with you, having only to love you, and to think only of the happiness of so saying, and of proving it to you?" Ludwig Van Beethoven to his "Immortal Beloved"
Dearest deeply loved Victoria, I need not tell you that since we left, all my thoughts have been with you at Windsor, and that your image fills my whole soul. Even in my dreams I never imagined that I should find so much love on earth. How that moment shines for me still when I was close to you, with your hand in mine. Those days flew by so quickly, but our separation will fly equally so. Ernest [my brother] wishes me to say a thousand nice things to you. With promises of unchanging love and devotion, Your ever true Albert. Out of the depths of my happy heart wells a great tide of love and prayer for this priceless treasure that is confined to my life-long keeping. You cannot see its intangible waves as they flow towards you, darling, but in these lines you will hear, as it were, the distant beating of the surf. But once in awhile, like today, I meditate on it and realize how lucky I am to share my life with the greatest woman I ever met. You still fascinate and inspire me. You influence me for the better. You’re the object of my desire, the #1 Earthly reason for my existence. I love you very much. Swoon*** Which letter do you like best? Or do you have another to share? Share in the comments section to be entered to win a copy of A COWBOY'S PRIDE. Winner will be announced here tomorrow! LIZ!!! This was the most beautiful letter I've ever read. This part, especially, "But, O Sarah! If the dead can come back to this earth and flit unseen around those they loved, I shall always be near you; in the gladdest days and in the darkest nights … always, always, and if there be a soft breeze upon your cheek, it shall be my breath, as the cool air fans your throbbing temple, it shall be my spirit passing by. Sarah do not mourn me dead; think I am gone and wait for thee, for we shall meet again …"- And then he dies in battle the next week. I'm crying like a baby. How beautiful. Thank you for sharing it! After my mother died, we found the letters she and my father had written each other before they were married. I had never seen them happy, so it was an introduction to two people I never had the chance to know. The letters were wonderful, but bittersweet, too. What an incredible discovery. How powerful to hear their love for one another and understand their love story... although having lost your mother, it must have felt bittersweet to read her words without her there beside you. I'm sorry for your loss, Liz. The letters are wonderful, Karen, and a good reminder that men too, can be emotional and lyrical when speaking about love. I especially liked Keats’ line - “My Creed is love and you are its only tenet” . 50 years ago, when my husband and I were dating, we exchanged a lot of (maybe bad?) love poetry. I must rummage around for some of those, get them out for our 50th anniversary next Oct. :) Thanks for the post and all the best on this new release! 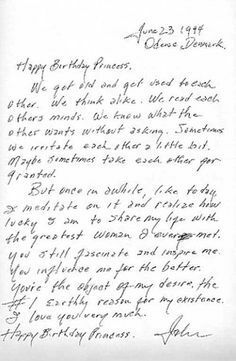 I like Cash’s letter, Prince Albert’s and Mark Twain’s the most but they’re all great. Ah, Romantic men. Also, there’s a wonderful love letter in Ken Burns’s Civil War documentary that makes me weep and sigh. Congrats on your new book! I'm pretty much swooning now...I love seeing letters in books, and including them myself. I do I remember the days of writing letters. My mother saved some I'd written to her when my young family moved from Chicago to an island in Maine. I wish I'd saved a few love letters from that era, too. Thanks so much for sharing these. Napoleon to Josephine and Johnny Cash. But they are all lovely. Thanks for sharing. There's just something about that Johnny Cash letter... it's not as flowery as the rest, but I can just hear the feeling in it- the sense of having a long relationship with all its ups and downs and still feeling like the person you're married to is the only other person in the world for you :) Thanks so much for stopping by the blog, Lori! I'm sorry that we don't connect with postal letters much any more. I used to write to everyone in the family, but now it's one-line texts. Can't recall if I ever wrote a love letter or received one. I did get letters from dh when he was off and gone with the Marine Corps. Wish now I'd kept those letter. Your research was cool. I found Mark Twain's especially endearing, because so much of his writing was acerbic and unsentimental. The effusiveness of all the letters is remarkable. If a man wrote to his love in the same manner today, I'm not sure if she'd believe him. Or that could be my naturally suspicious nature. I absolutely love the Johnny Cash one. Who knew he was so romantically in depth. Thanks for sharing them all. 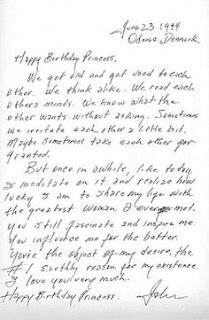 There is something so simple, and real, and romantic about that Johnny Cash letter. You can just feel the sincerity in it <3 I'm so glad you enjoyed reading them! Those are amazing, but I agree the Johnny Cash one is my favorite. I have some letters put away from a summer apart in college--I'll have to dig them out and reread one day. Keats' letter is my favorite. I have always loved him. He has a way with words. I would love my husband to write my a love letter!!! Oh my goodness- when Keats says "Love is my religion - I could die for that - I could die for you. My Creed is Love and you are its only tenet." MELT* I'm with you on wishing for that kind of letter... but luckily my husband has other ways to show his love like always making sure my car's filled with gas- lol. And he does write the most beautiful messages on my birthday, anniversary and Valentine's Day cards. I have kept those! they are all good to read. A COWBOY'S PRIDE by Karen Rock sounds wonderful. Thank you for the opportunity to win. You're so welcome Emma :) I'm glad you enjoyed them! The poet that comes to me is Elizabeth Barrett Browning! Let me count the ways! I, of course, love Love Story by Erich Seagall... Love means never having to say your sorry. For a short time Doug an I couldn't be together a little over 10 years ago. We wrote often and we have saved each other's letters. We wrote our own mini story to each other. It was about a family traveling by horse wagon to the mid west. We loved writing to each other about " our family". It helped to pass the day's and month's we were apart. We got to see each other on weekends but writing sure helped . When Doug returned home we ended our "story". Then when my youngest got married we were apart for 3 weeks. I wrote often to Doug. He couldn't really write to me but we talked on the phone every day. I bet he kept those letters , too! I have some family love letters. Not quite as lyrical, but wonderful to have. A few mysteries, also, in a reference in the 1915/`1916 set to it being better to burn the last couple of letters. No clue as to why. My imagination conjures any number of possibilities. Thank you so much for stopping by the blog everyone! The winner of my giveaway is Pam Jones-Hamblin! Congratulations, Pam :) Please email your address to me at karenrock@live.com to claim your prize!